The 2.25-acre plot that is now know as Newton Community Farm was farmed using traditional organic methods for 300 years. The brick exterior of the house, the contents of the barn, the outbuildings and structures, and the fertile soil of the farm reflect the stewardship of the Italian-American Angino family from 1917 to 2005. Newton residents, in conjunction with the Newton Conservators, persuaded the city to save the last working farm in Newton as a community resource instead of letting the site be developed. Their vision is to preserve the cultural and historical landscape of Angino Farm as a uniquely beautiful open space with sustainable farming at the center of its activities. The Newton community has the opportunity to appreciate the beauty of the farm landscape, purchase produce from the farm, and participate in farm events and educational programs. 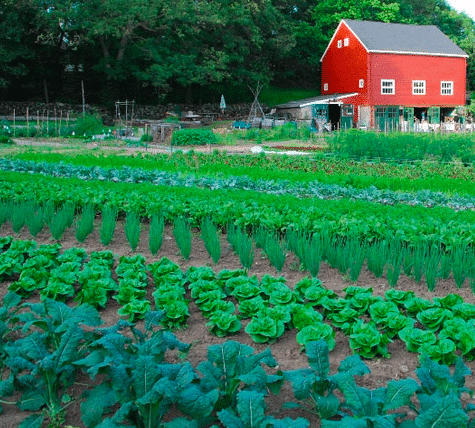 These interactions bring residents into a more intimate connection with the environment and demonstrate the benefits of local food production. This impressive non-profit farm welcomes people throughout the year for visits, classes, farming, and fun festivals! Visit their website here to learn even more about this incredible farm and community!